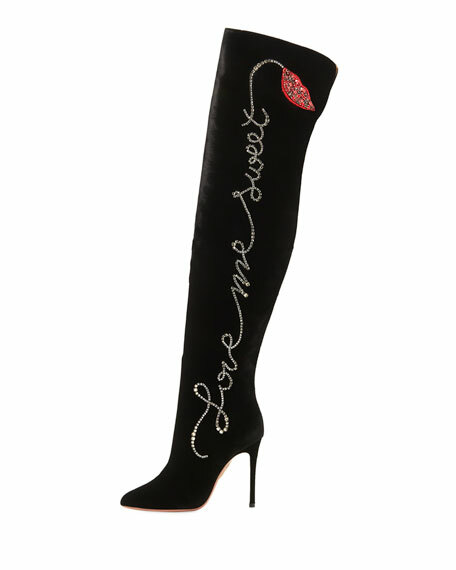 Aquazzura velvet over-the-knee boot with embellished "Love Me Sweet" text and lip motif on left boot and "Love Me Tender and heart" motif on right boot. "Cupid" is made in Italy. 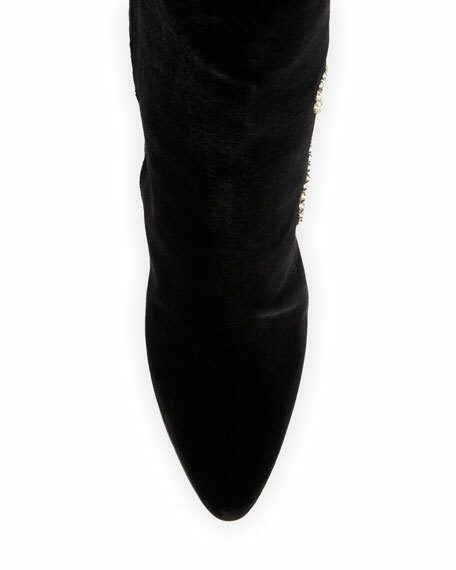 For in-store inquiries, use sku #2663331.